New York - February 22nd, 2011 - Sumthing Else Music Works, Inc. proudly presents Homefront™ Original Soundtrack featuring the original music score from the highly anticipated first-person-shooter video game Homefront™ developed by Kaos Studios, a division of THQ Inc. Composed by Matthew Harwood whose previous scores include Frontlines: Fuel of War, the Homefront Original Soundtrack is scheduled for release on March 8th, 2011 to retail outlets through Sumthing Else Music Works www.sumthing.com, and for digital download at www.sumthingdigital.com, Amazon MP3, iTunes® and other digital music sites. Set in the year 2027, Homefront is an immersive first person shooter that delivers a gut-wrenching cinematic experience. Written by John Milius (Red Dawn, Apocalypse Now), parts of the American homeland are occupied by a savage far-east alliance driven by a nuclear-armed North Korean Army. In the aftermath of a crippling global energy crisis and a decade of economic and political turmoil, America has fallen. Its infrastructure shattered and military in disarray, the USA is powerless to resist the ever-expanding occupation. A once free people are now prisoners or collaborators or revolutionaries. The plot focuses on the story of a small resistance group amidst a larger set of events. "Homefront is so rich and compelling that creating the score to support it was both rewarding and challenging," says composer Matthew Harwood. "I would ask myself, how would I feel if this were to actually happen, how would I live, what would I do to protect my family, would I stand by and watch, or would I fight? The world of Homefront posed these questions to me in a way I was not initially expecting. Those questions were the cornerstone that I used to form an emotional compass for the compositions." Describing the music for Homefront, Harwood explains, "Stylistically, the orchestra, which was fused with electronic elements that were supported by Asian percussion, was the brick and mortar. I also wanted to use guitars (both acoustic and electric) to help sell the locale. Asian instrumentation such as the erhu and pipa are heard to help mold the sonic quality. When we recorded the orchestra we did so in New York and it was a thrill to hear the score brought to life by the caliber musicians here in the city. To me, Homefront represents something rare in gaming, where the story and what it has to say are integral in the experience. 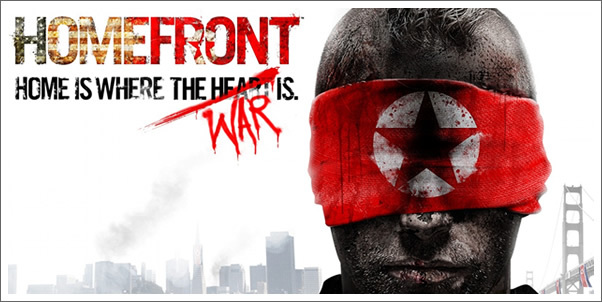 Composing music for Homefront was a pleasure. I hope you enjoy listening!" Homefront is scheduled for release on the Xbox 360® video game and entertainment system, PlayStation®3 computer entertainment system and Windows PC on March 15th, 2011. For more information on Homefront, visit www.DefendYourHomefront.com. For more information on Sumthing Else Music Works and its complete catalog of video game soundtracks, visit www.sumthing.com and www.sumthingdigital.com.